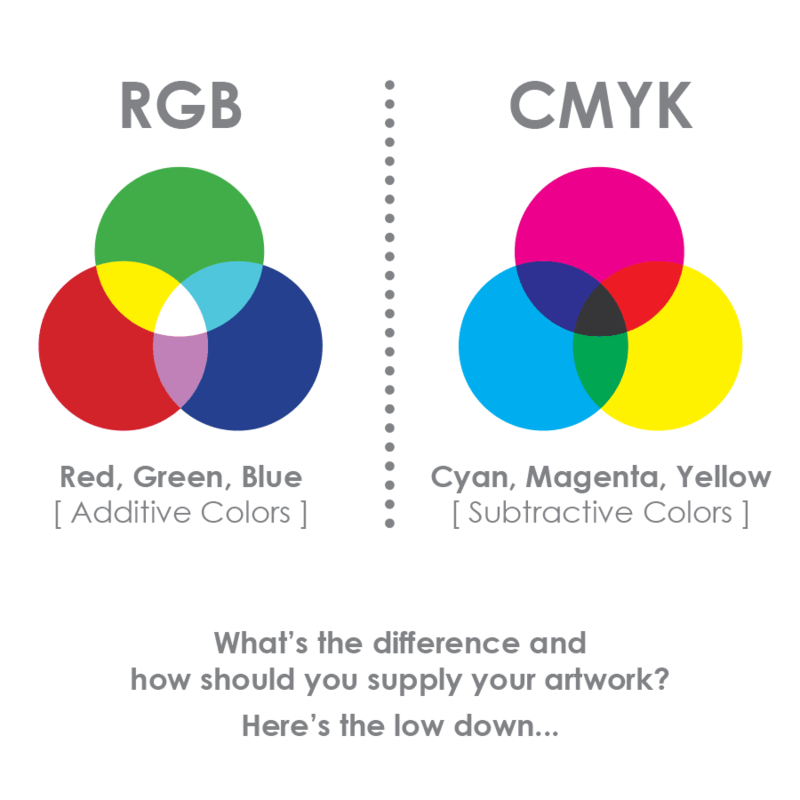 “WHAT IS THE DIFFERENCE BETWEEN RGB & CMYK AND HOW DOES IT AFFECT ME?” many people ask. Simply put, RGB (red, green, blue) refers to light; and CMYK (cyan, magenta, yellow, key (black)) refers to ink. The number of colours that can be produced with light is far greater than the number of colours that can be reproduced with ink, ie RGB has a much wider gamut, or range, than CMYK. Hence the disappointment you may have experienced before, where the image on your monitor was so much more vivid than what printed out on paper. To avoid this, you can either work in CMYK from the outset (it does give you more colour control anyway), or else pay attention to the gamut warnings and output previews available in your software, to get an idea of what can be achieved in the printed result. Bear in mind that once you have converted a file from RGB and brought all the colours into the smaller CMYK gamut, even if you convert back to RGB you won’t ever get all those colours back again. So it’s a good idea to keep your photo images in RGB and allow your layout applications like InDesign or Illustrator to convert to CMYK when you export the file in the final step before printing, that way you can preserve the full colour gamut in case of use on the web. “CAN YOU PRINT IN RGB?” is another common question. The answer is no, it is not possible to print in RGB, but you can send RGB files to a digital print device which will then make the conversion to CMYK on your behalf. At Hot Ink we prefer to receive RGB files as our high quality RIP software generally does a better conversion to CMYK resulting in more vibrant colour results. If you are still not satisfied and need a more technical explanation, read this great article which explains the theory of colour in more detail.